950 BC - Solomon builds Temple. 609 BC - Babylonians destroy Temple - Israelites exiled into Babylon for 70 years. The Towers of Meah and Hananeel guarded the Temple from a northern attack. 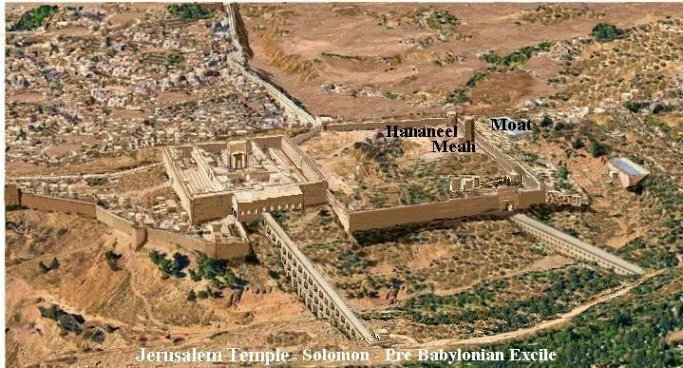 Nehemiah rebuilt the city wall in 445 BC and the two towers, Meah (Meah means "one hundred" in Hebrew) and Hananeel, on the north wall. The moat and towers protected the Temple and city from a northern attack. 536-517 BC - Temple rebuilt by Jews under their new king, Zerubbabel.. This Temple built by the Jews returning from 70 year exile in Babylon. The Hasmonean (164 - 63 BC) rebuilt the Meah and Hananeel Towers into a fort called the Baris Tower. The Guards traveled through an underground passageway that went from the Baris to the Temple. The Hasmonean also extended the east wall to the south. The Akra is believed to have been found between the Temple Mount and the City of David. but also that lower section of Ophel hill also cut down so that it became level with the City of David. 20 BC - Herod disassembles old Temple and begins work on new Temple. By the death of Herod, in 4 BC, the inner Sanctuary, including Temple, Priest court, Woman's court, and inner walls, were completed. Fort Antonia was also completed. 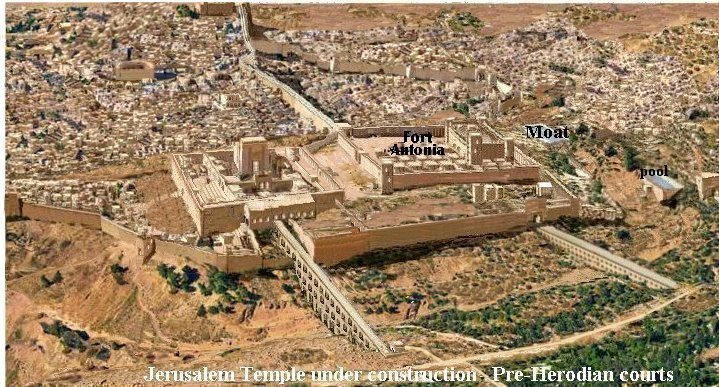 The Jewish Temple most likely remained within the old walls while the Herod/Herodian extended courts were being built during the 1st century. The courts to the north, west, and south were not finished until around 65-66 AD. Only the height of the Citadel of Fort Antonia is known. The Citadel's length and width may have been much larger than I have depicted it here. 21 AD - Construction began on the West wall, deep into the Tyropoean Valley began. Work was stopped and begun again at least twice. 26/7- AD - By the time of the ministry of Jesus the work on the Temple of Herod had lasted for 46 years. The West wall would have still been under construction when Jesus prophecied that not one stone would be left upon another in the Olivet Discourse (Matt 24). The Temple would have remained within the old walls, as a fortress for the city, until the new courts and walls were completed. and Fort Antonia, together, measured 600 by 1200 feet. (six furlong around, as per Josephus). The moat and Fort Antonia protected the Temple and city from a northern attack. The southern court of the Temple compound was torn down to ground level and most of the west wall above street level. 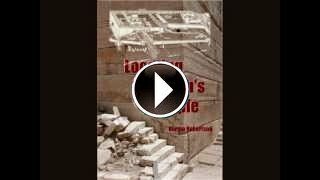 Of course nothing of the Temple house and the new buildings and gates of Herod remained, not even one stone upon another. 135 AD - With the building of a new Roman city on the site of old Jerusalem, Emperor Hadrian also used the stones of these torn down walls and buildings to rebuild the Mount in a way that would create a rectangle large enough to support a Temple of Jupiter complex like the one built in Lebanon. 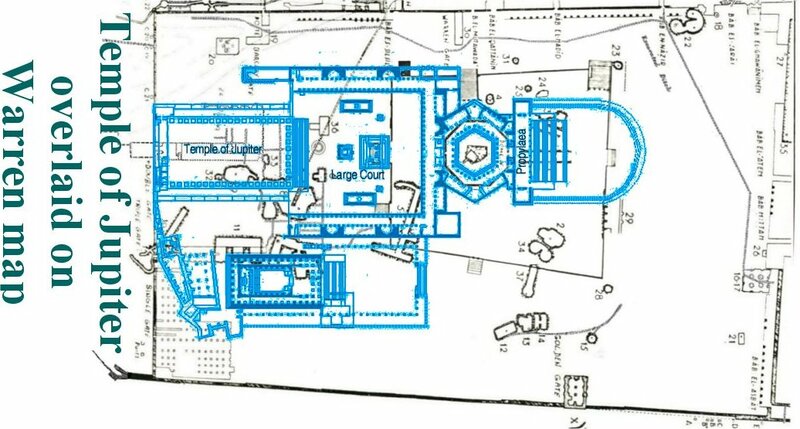 I have overlaid the Temple Mount map with the design of the Temple of Jupiter in Lebanon. 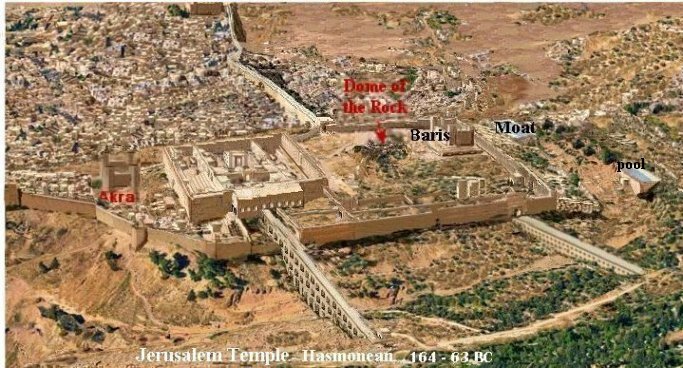 As you can see the Al Aqsas Mosque fits the design of the Temple of Jupiter at the south end, and the hexagon court of the temple complex fits around the rock in the same ways as the Dome of the Rock does. It seems logical that the Muslims built these on the platforms of the previous buildings. The temple of Jupiter was completely torn down or the orders of Constantine in 225 AD. Building the Temple of Jupiter required building a new southeast corner from the bedrock up. Hadrian used the re-cycled Herodian stones to build up the new corner. This corner is now called Solomon’s Stables. The Ophel, which contained the southern court of the Temple, remained in ruins. It would not have been usable to Hadrian, the topography shows that he would have had to build too deeply into the Kidron Valley if he were to create the rectangle any further to the south. Instead he used the platform of the inner walls of the Temple to build his south wall on. 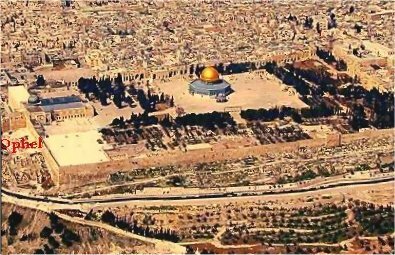 There has never been a north wall to the Temple Mount and there still isn't one. This digital painting represents the Temple mount surface today in the shape of the rectangle created by Hadrian. The gray area is the Temple surface, along with the southeast corner which was added by Hadrian. The Ophel area consists of ruins from the First Temple era to the Second Temple era and Herod's Temple, along with ruins of buildings built after the destruction in 70 AD. 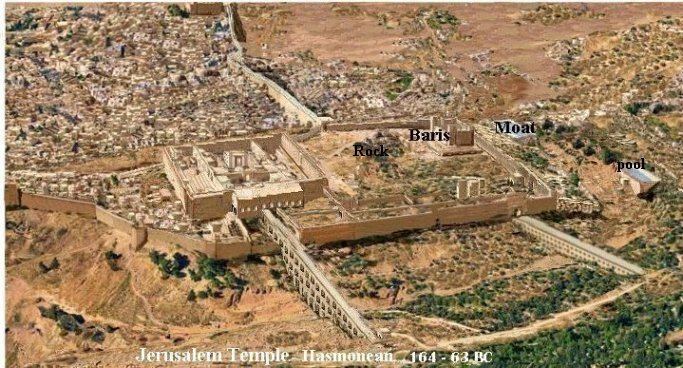 As you can see the walls of the Temple Mount we see today are NOT the walls of the Temple fortress that Jesus and the Apostles were looking at. None of those walls remain today. The Ophel was excavated beginning in 1967. The upper courses of the walls all the way around and the gate in the east wall were built by the Muslim's. 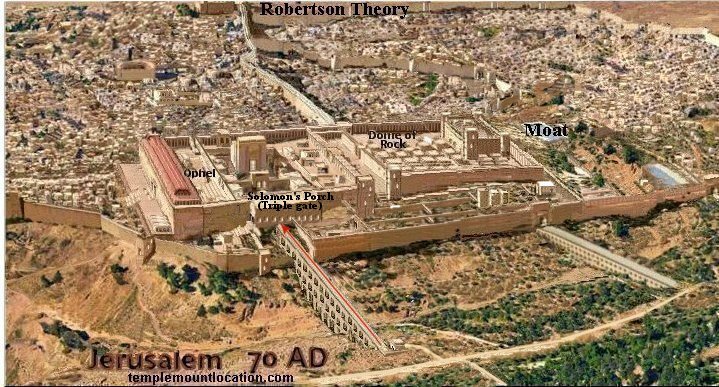 The size of the Temple Mount today is double the size of Herod's Temple told to us by Josephus.